Beneath a canopy of trees, just outside the fence at Barton Springs Pool, a section of the spring has gone to the dogs. 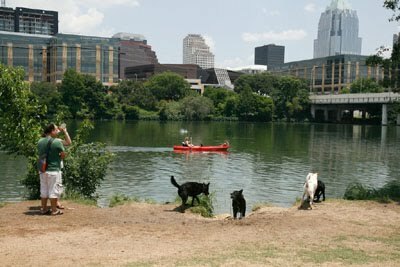 "It's just one of those Austin-type places, I guess. Everyone comes here, brings their dogs, it's free, the water feels good, it's cold," dog owner Hank South said.